Steve Ferris said of his art installation, “The underlying theme is the cosmos, at a macro and micro level. The imagery can easily be interpreted as both the galactic expanse and a slice at the cellular level”. 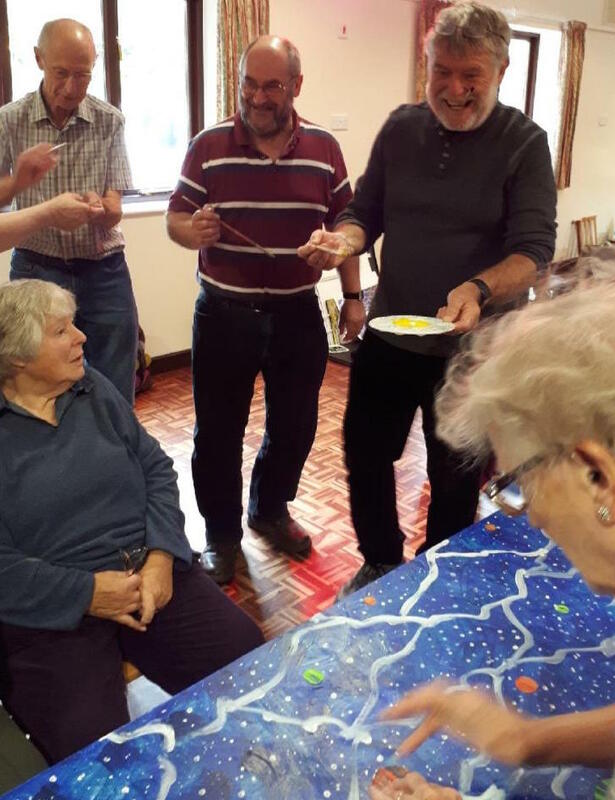 This may have been a bit over the heads of the Rampton Art Group as they prepared to take part in the preparation but, as the photos show, they all thoroughly enjoyed the experience. 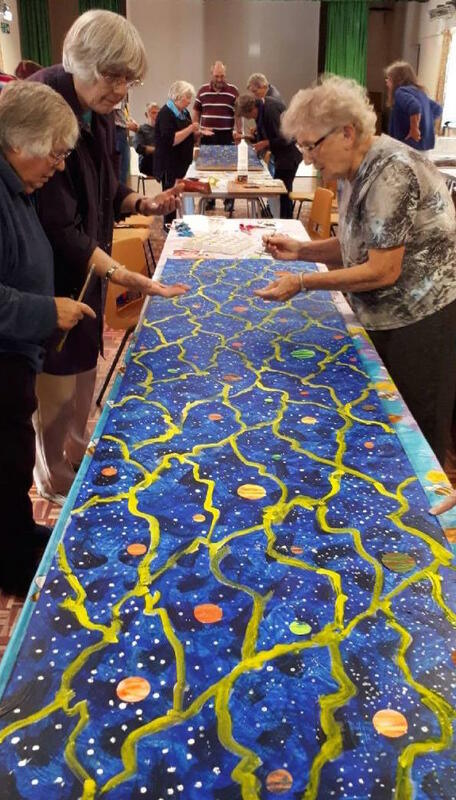 The installation will certainly be “over the heads” of visitors to the Cambridge Open Art exhibition as they will be able to enter the “temple” and gaze up into the cosmos! Some of the hundreds of preliminary drawings and a scale maquette, that Steve prepared before the final piece is finished by school children and community group Ramparts, will also be displayed. 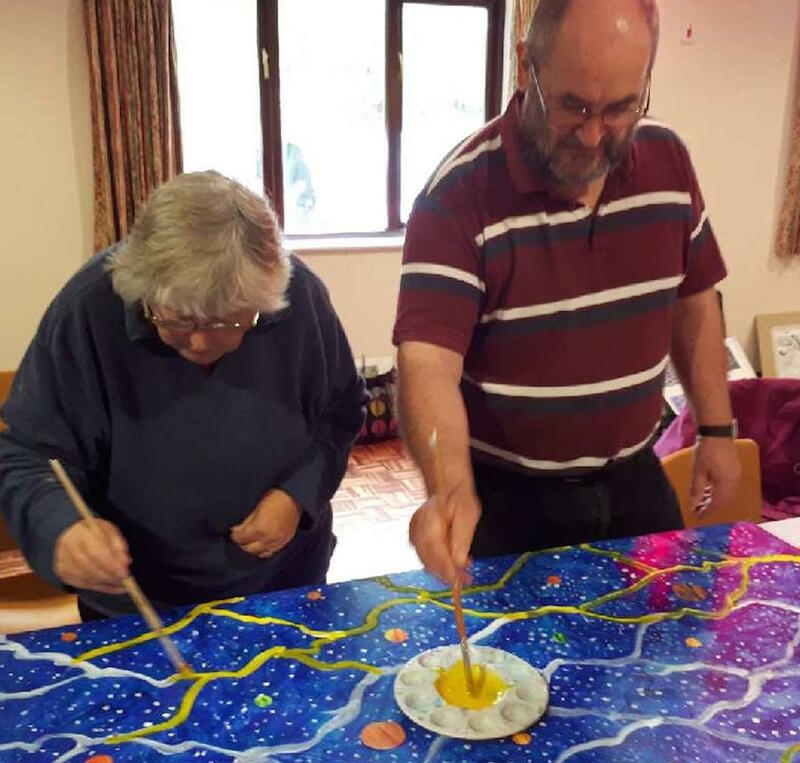 The Parnell Trust, the Arts Society and the Cambridgeshire Community Foundation have provided financial support and the installation will be displayed in other venues next year.